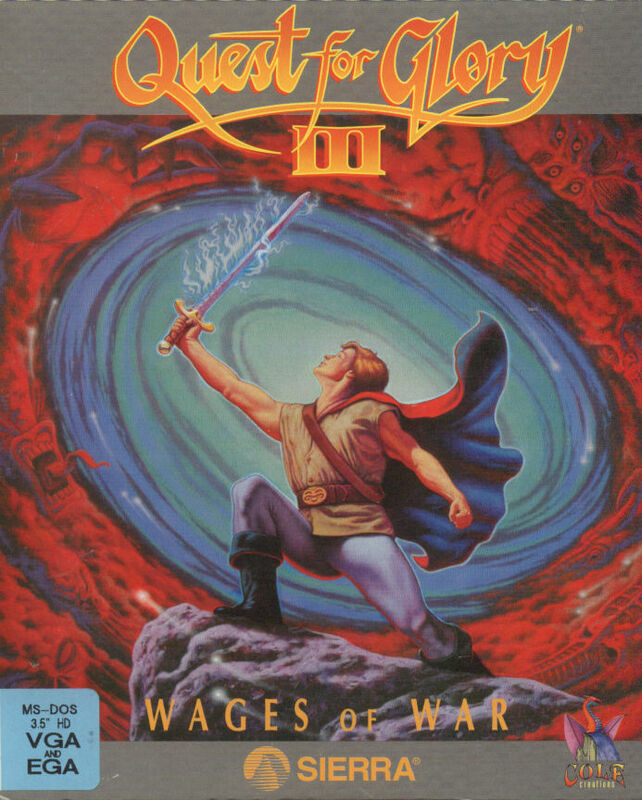 Wages of War is the third game in the Quest for Glory series. 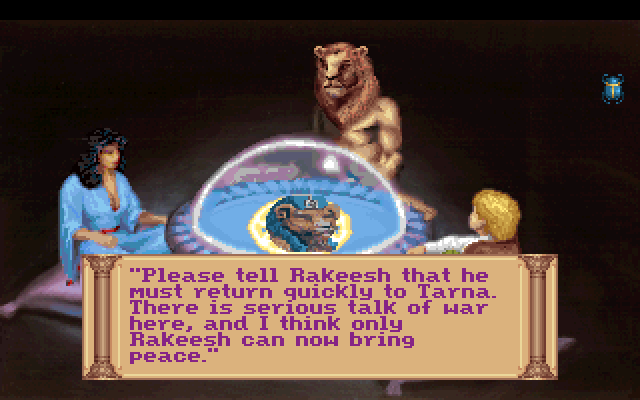 It is set in the Africa-like world of Tarna, where the hero travels with paladin Rakeesh, his new Liontaur friend he has met in the previous game. 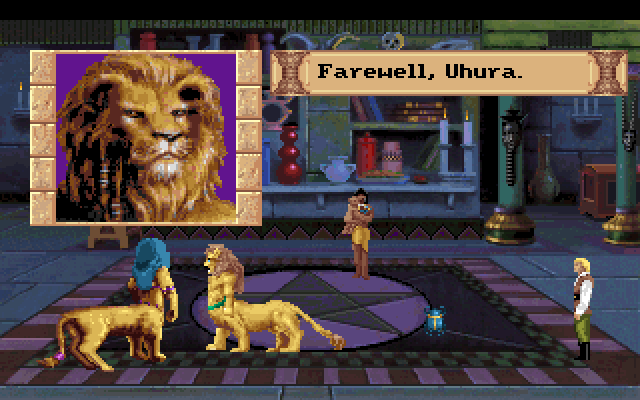 Shortly after his arrival, the hero learns about the conflict between the human Simbani tribe and the seemingly malevolent neighboring Leopardmen. 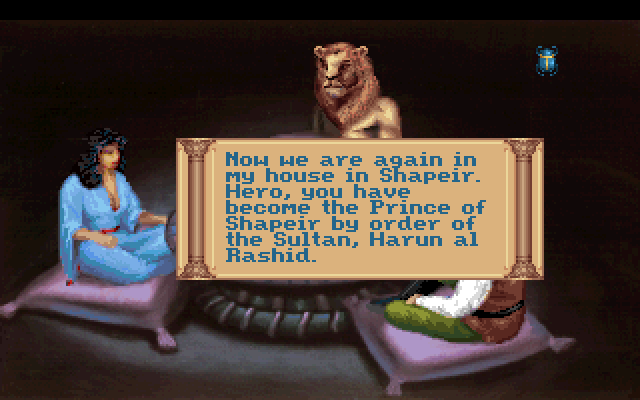 It is now time for our hero to become a skillful diplomat and prevent an upcoming war between the two nations. 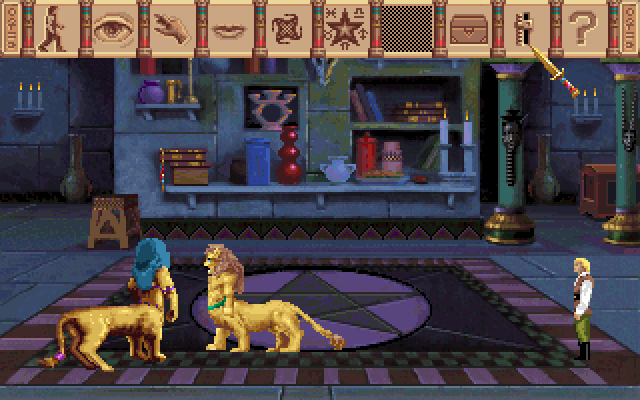 The basic gameplay system is similar to that of the two preceding games. The game has an adventure-like structure and gameplay elements, including puzzles to solve, inventory items to use, and characters to talk to, as well as a role-playing system with combat and character development. 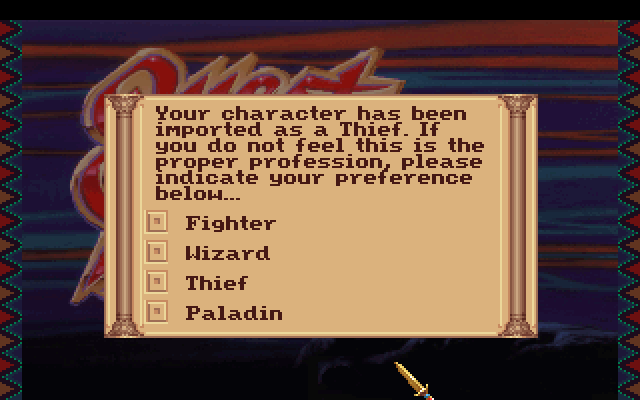 As in the predecessors, the player character can be either a fighter, a thief, or a mage; in this installment, the paladin class is selectable from the beginning of the game (unlike the previous game, where the hero could only earn the title of a paladin during the course of the story). 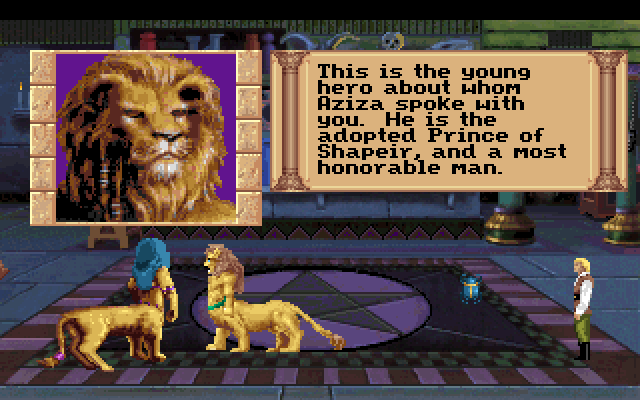 Saved characters from the previous game can be imported. 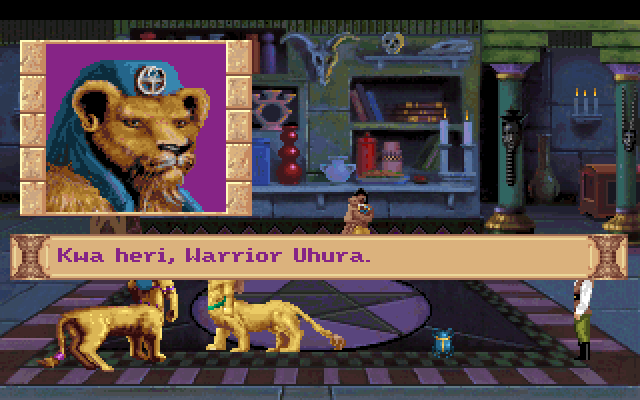 Like in the earlier Quest for Glory games, the main character's parameters increase directly after battles or by repeatedly performing various actions. 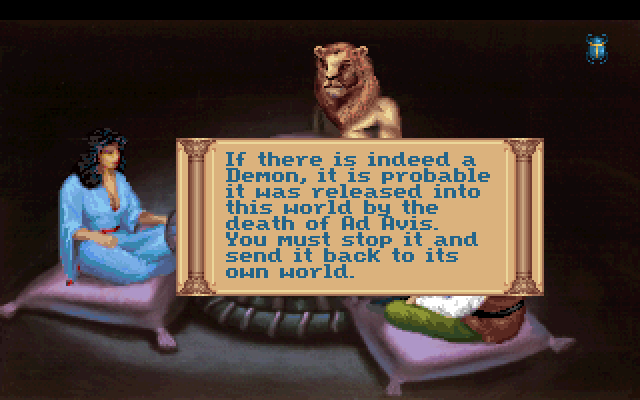 New to the series is an overworld map on which the hero travels between locations. 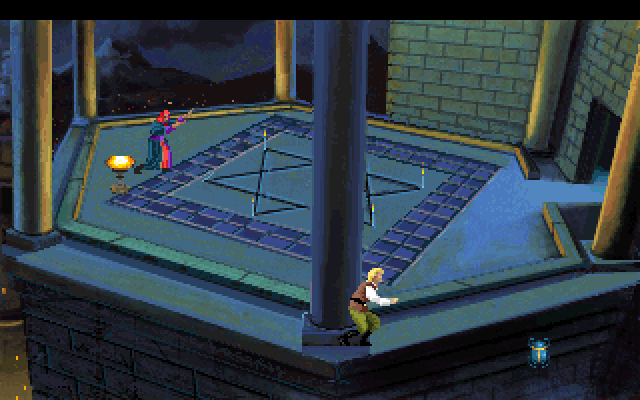 Hostile encounters may occur randomly while traversing the map. Combat system is similar to the predecessors, with real-time battles where the player selects various offensive and defensive options. 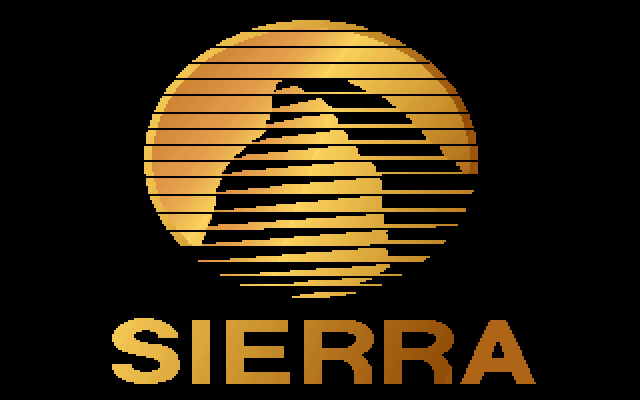 Graphics engine and interface in this installment are the same as in the remake of the first game: it has 256-color graphics and an icon-based interface which was used by Sierra for their contemporary adventure games. 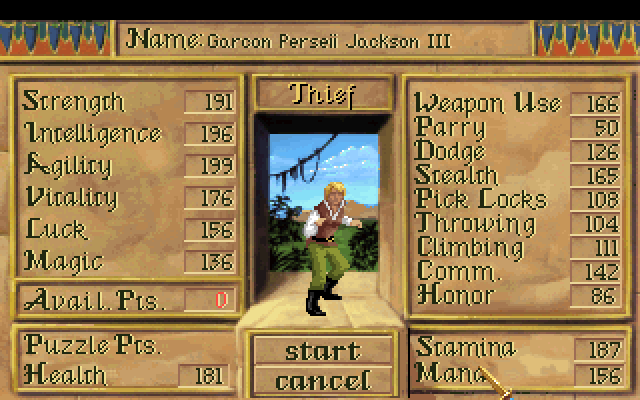 Just like the previous installments, this one offers three 'standard' character classes: Warrior, Magic User and Thief. However a 'hidden' class can be opened: a Paladin. 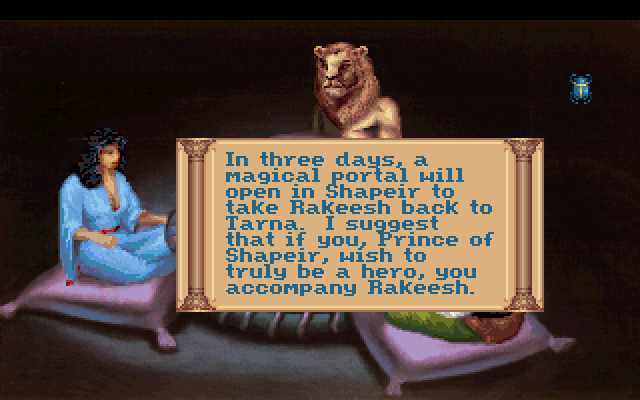 In the finale of the previous game a Warrior character who has proved honorable enough is named 'Paladin' by Rakeesh, and can be imported to Quest for Glory III as such. 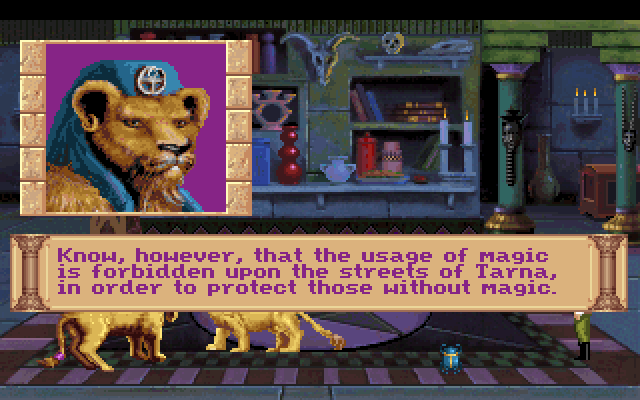 However, any saved character of any other class can be imported as a Paladin as well, preserving all of his skills acquired in the previous games. Such system allows to create a cross-class characters, so that Paladin for instance can use his own specific abilities along with the spells intended for Magic User without any penalties. 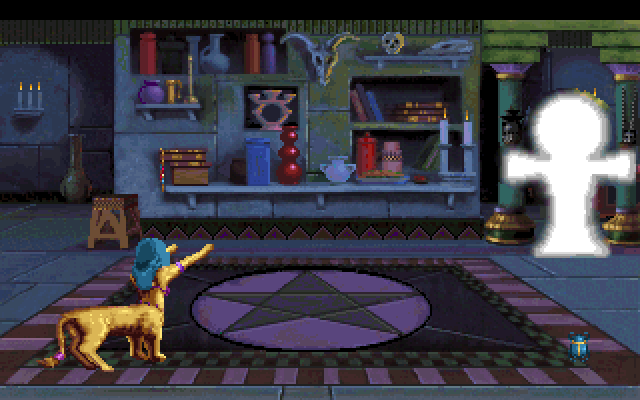 The Magic User character is given the opportunity to create a magical staff. 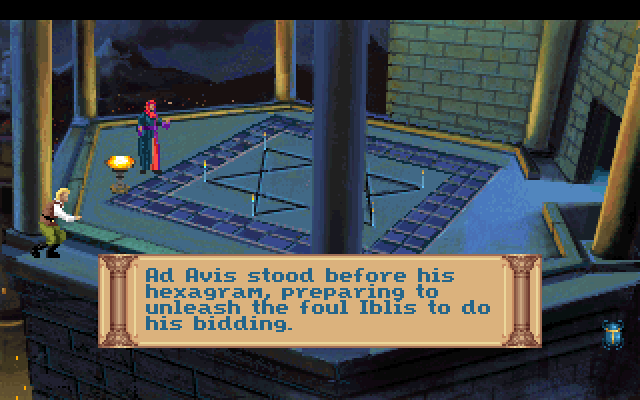 While it is summoned, the player can't move and retain the staff, but the spells don't cost mana points (yet their skills don't raise either). 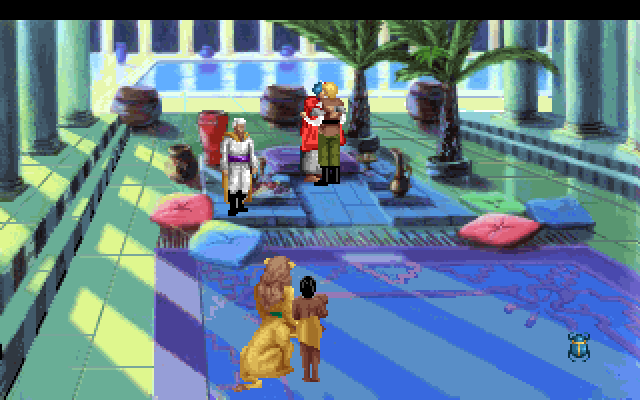 As for Thieves, the game's reliance on combat and tests of physical strength leave this character underdeveloped in this sequel. 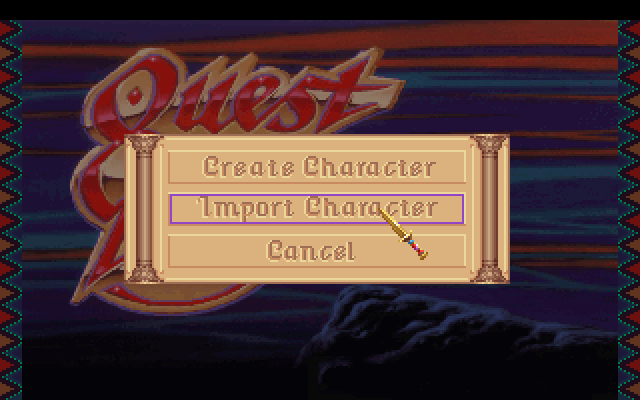 Furthermore, Quest for Glory III is the only game in the series to feature neither a single place to steal from anywhere nor a Thieves' Guild to fence stolen goods, upgrade skills and equipment. 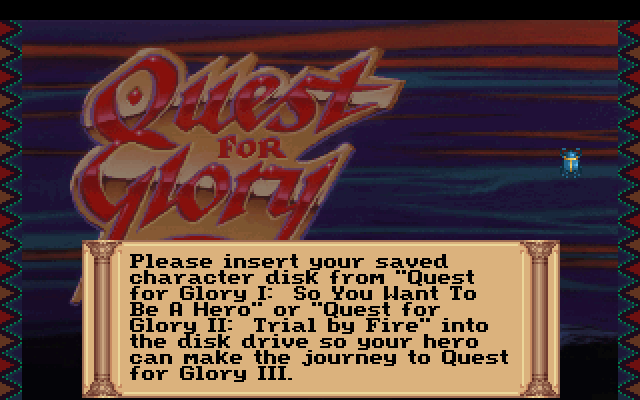 In a departure from the first two games, Quest for Glory III features an "overworld" screen where all important cities and landmarks are represented in miniature. While traveling from one landmark to another, time passes rapidly, and the player is prone to random encounters, most of which are hostile. 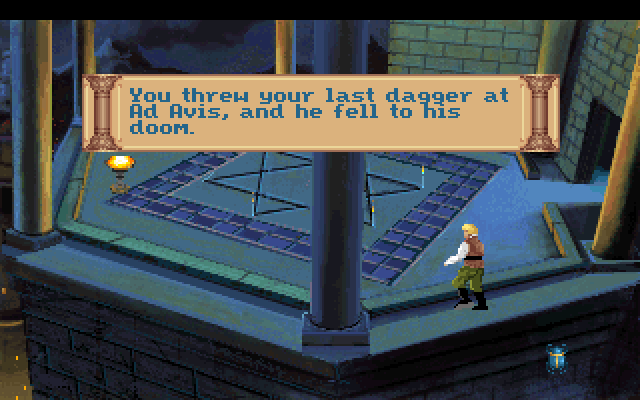 The stealthy Thief character is less prone to these encounters. Some random encounters are not hostile, and others are downright silly yet nevertheless helpful in one way or another, such as the Awful Waffle Walker (meant to save the Hero from starvation), and Arne the Aardvark (possible to question for hints). 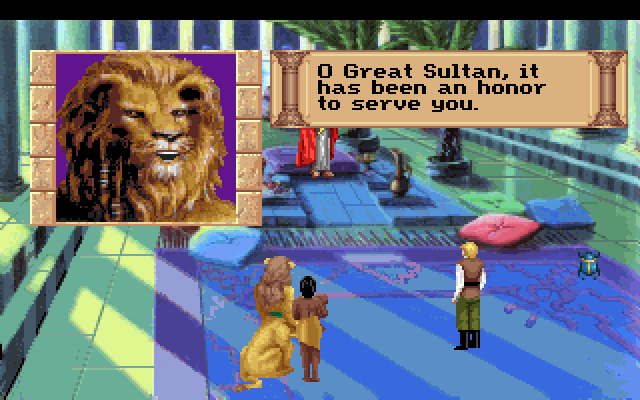 Each Quest For Glory title usually had a cameo by a comedian or a comedy team: the designers put Sanford and Son in this game, as merchants (i.e. junk dealers) in the Tarna marketplace. It is also possible to randomly meet Stan Laurel and Oliver Hardy in the savannah, as French Foreign Legion soldiers. The developers originally intended to continue the Quest for Glory series with "Shadows of Darkness", which would've taken place in the Translyvania-esque village of Mordavia. They put these plans on hold though, with the release of "Wages of War". 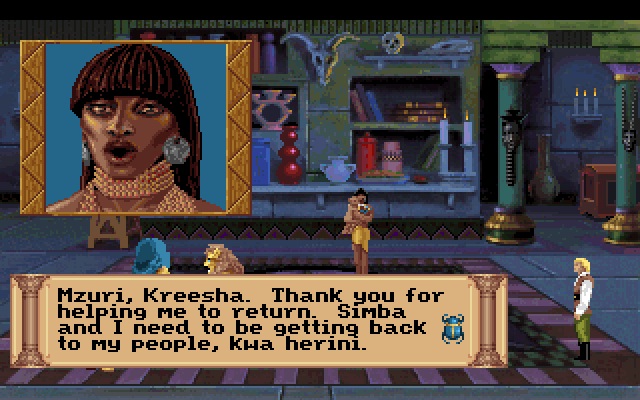 (Apparently the Coles once again ran into copyright issues, and had planned to re-release the game under the subtitle "Seekers of the Lost City".) 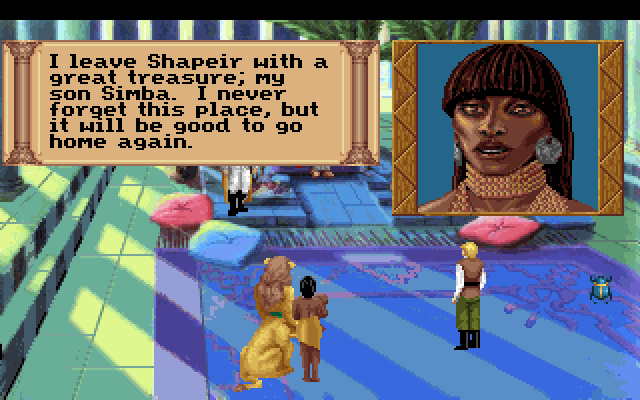 This time, our hero visits the land of Tarna, the homeland of Uhura and Rakeesh, the residents of the Adventurer's Guild in Quest for Glory II. 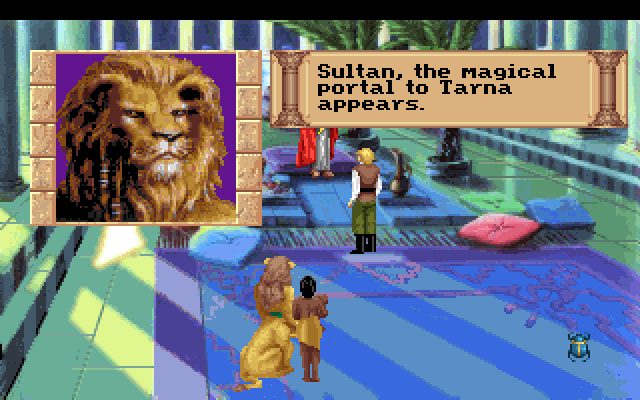 Tarna is much like Africa, although it is ruled primarily by lion-like creatures Liontaurs. As you and Rakeesh return, you learn of a mounting war between the human Simbani tribe and the apparently evil Leopardman. Obviously, things aren't as they seem, and it's to you, as the hero, to find a way to avoid a bloody and unnecessary conflict. Transmission will begin shortly. 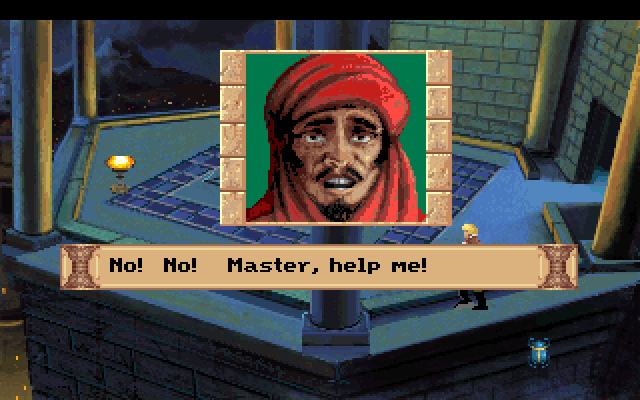 I had originally intended to include video clips of cutscenes as I did with the first two installments but DOSBox doesn't get along with SCI games and you lose all the BG music. So this is going to be all screen grabs! See you on the Savannah! 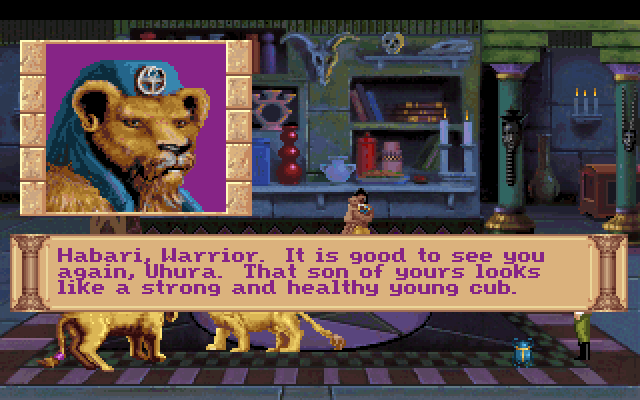 I love this game. 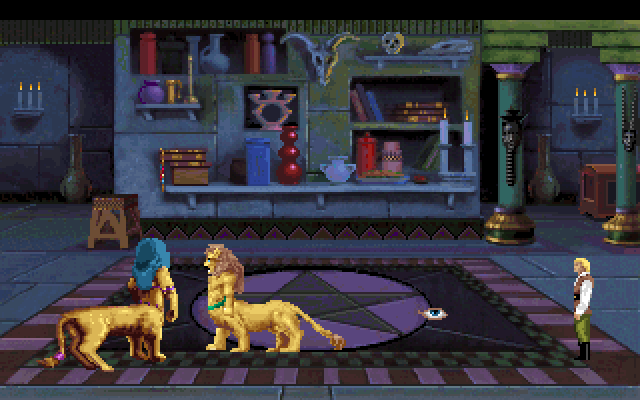 In hindsight its the weakest of the four, but man, i still love its quirks. 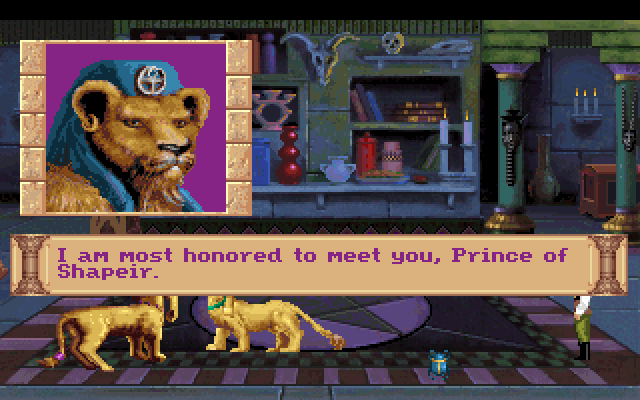 Aww, yeah, been looking forward to this. I was really into QfG III back in the day, but I guess the modern-day consensus is that it's the least popular? I'll be interested to see the game again and find out if I agree with that opinion now. 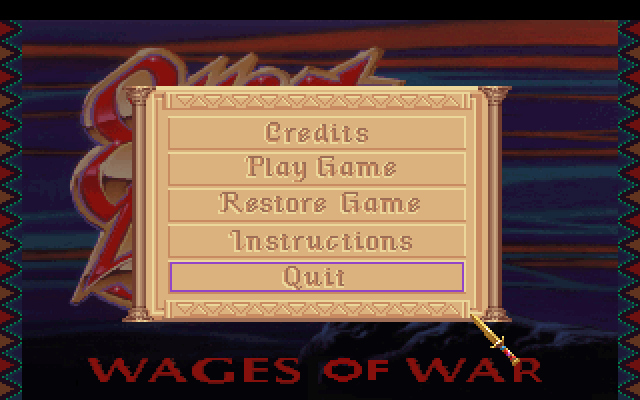 Wages of War being the weakest QfG is somewhat analogous to FFTA being the weakest FFT. It looks bad because it's surrounded by better games and made some questionable design choices. 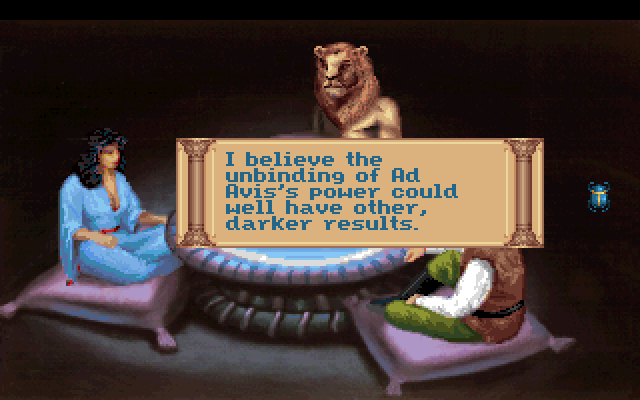 I seriously had no idea that people didn't like this game before reading these LP threads on Talking Time. 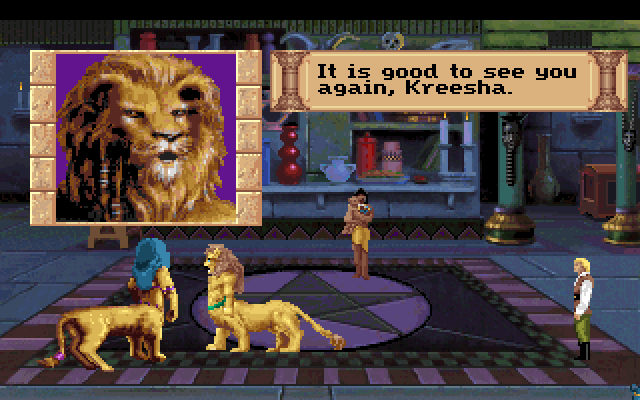 It's a good game! Anyway, why are we even discussing which QfG game is the weakest in a world in which QfGV exists? ALSO: My parents recently brought me some boxes of my old stuff, and in one of them was my boxed, complete copy of this game. 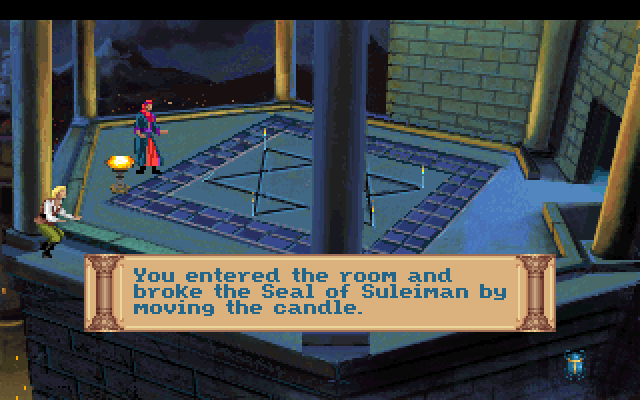 It was pristine! I put it up on a shelf in my retro gaming room. Would you mind taking some pictures of the manual and whatever other goodies are in the box and put them in the thread? Hot dog, uncharted territory! I got to experience QFG 1 & 2 at a friend's house growing up, but they never got Wages of War, so I'm really looking forward to this now! Last edited by upupdowndown; 05-29-2012 at 10:16 AM. Anyway, why are we even discussing which QfG game is the weakest in a world in which QfGV exists? Hot dog, uncharted territory! I got to experience QFG 1 & 2 at a friend's house growing up, but they never got Wages of War, so I'm really looking forward to this noe! 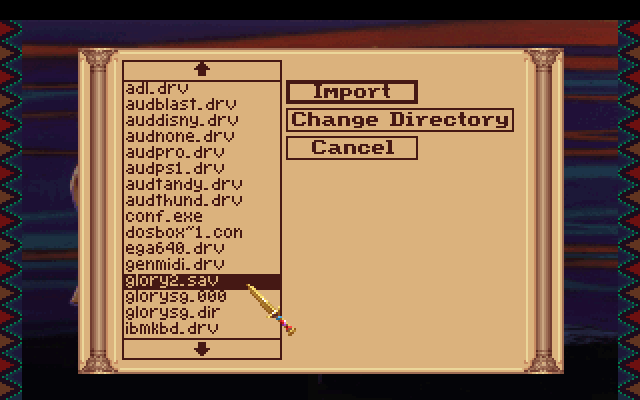 Hah, I used to be tormented over the fact that my 386 couldn't handle QFG4 and I was stuck with QFG3. 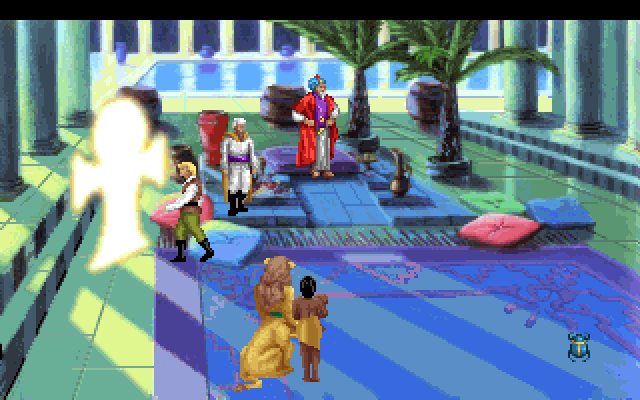 i actually love the music and art in this game a ton, and the fighter and wizard challenges are pretty great. I spent so many hours playing mancala! my main issue with the game was that it felt really really sparse. but when it hits, it hits super strong. 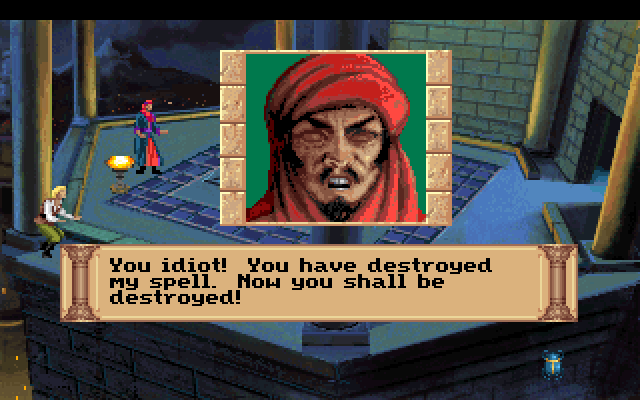 For a long time this was my favorite of the series. I think that's something that I actually enjoyed when I played this game. Having so much space made the world seem big, which is appropriate since you're tracking across the savanna and huge swaths of jungle. Somehow, all that empty space made things seem more epic in scope to me. 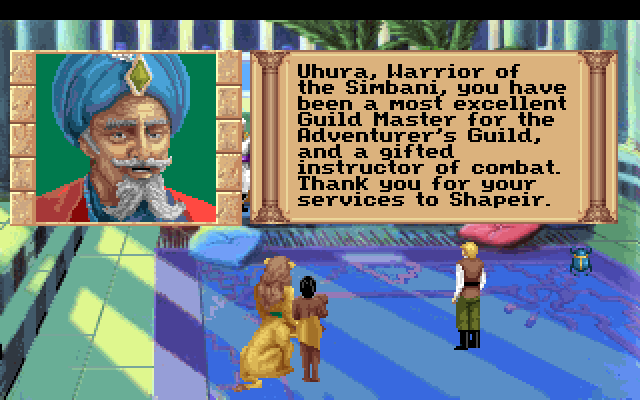 I spent so many hours playing Awari! 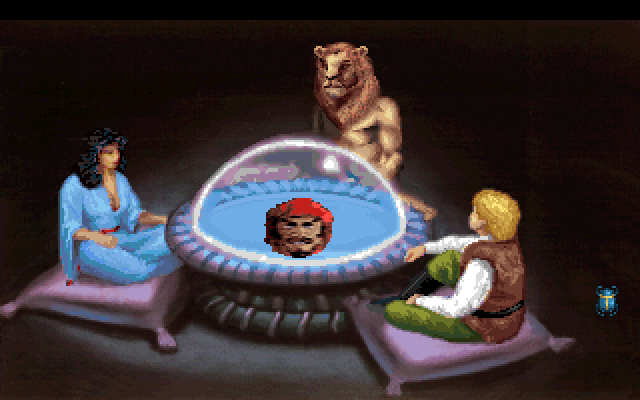 Fixed that for you, bwana. 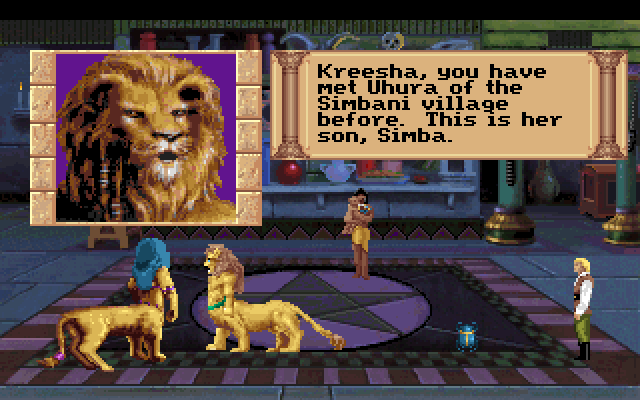 Yeah, I seriously had no idea what the real name of that game was for years. 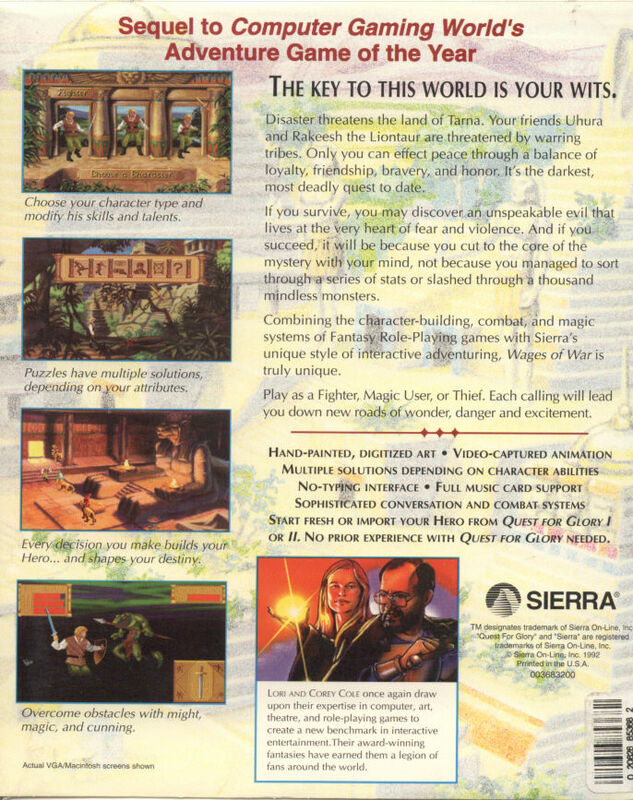 That reminds me, I found a copy of the original Hero Quest at a store that sells old computer crap in San Jose four years ago. It's got everything including someone's hand drawn map. I can upload some pictures. 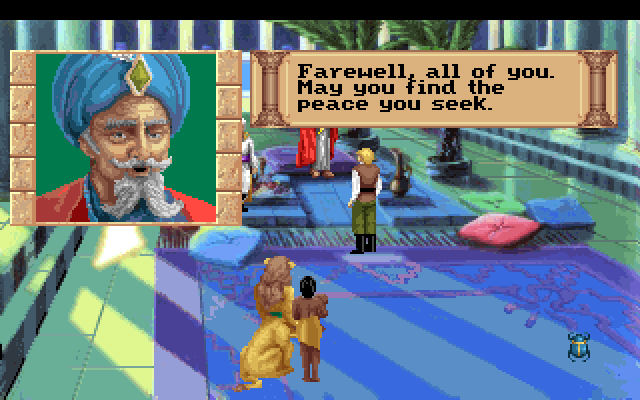 I have such fond memories of this game. 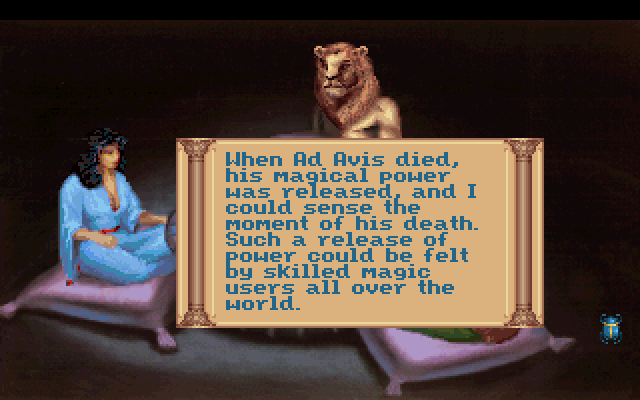 I think one of the main reasons is that it was the first time I played a game on a computer that had a sound card. It blew my mind. To avoid cluttering an incipient thread with huge iPad pictures, pics will be posted into the Qfg1 thread. EDIT: Some pics are now posted in the thread for the original. 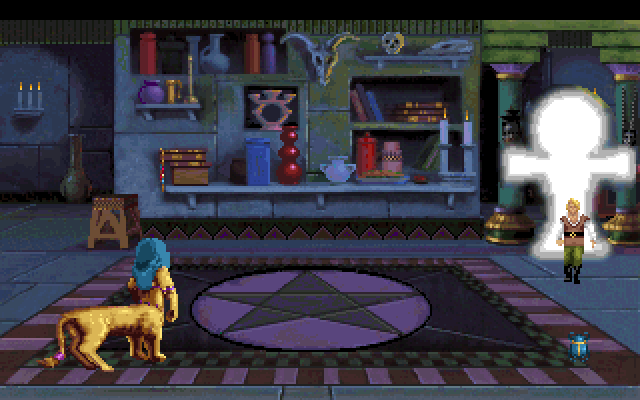 Okay I'm all caught up on Glory Questing, we can start the party now! 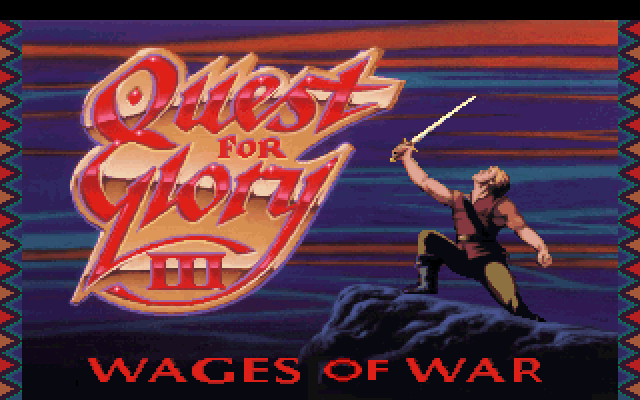 Welcome to Let's Play Quest for Glory III: Wages of War! As always the best play to start is usually at the beginning! "Remember when he went screaming to his death? That was hilarious! ah haha ha, yeah... I hope dingoes ate it!" "Such talents with rope! That's a nice way of saying your adopted son is a thief, pops! 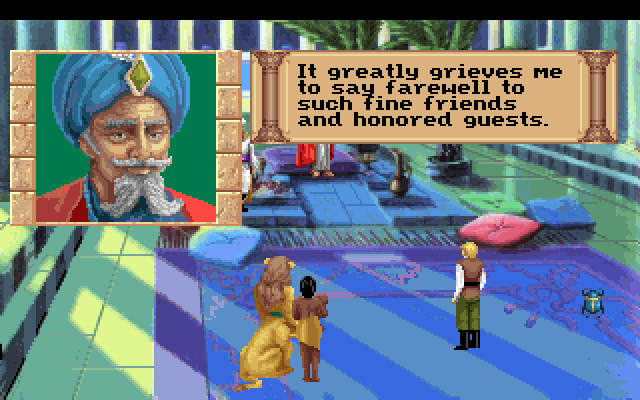 I'll miss you and the harem! Bye, Dad!" 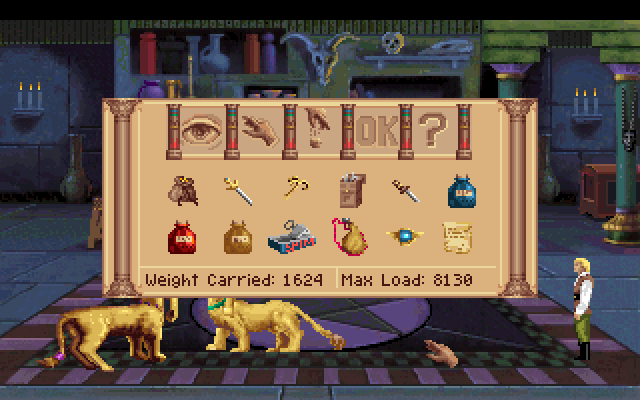 walk; look; touch; talk (click on yourself to tell something, click on a person to question them); special; magic; inventory item; inventory; options; and help. 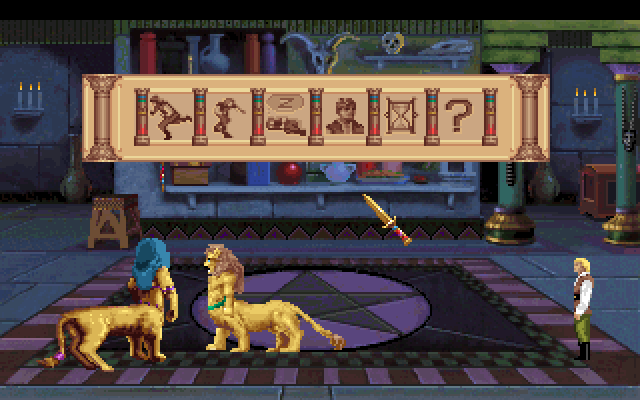 The magic menu with all of Perseii's spells reduced to icon form. 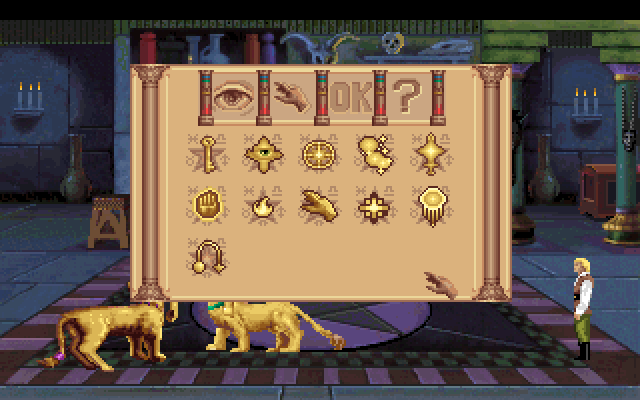 The special actions menu: run; sneak; sleep; character sheet; wait; and help. 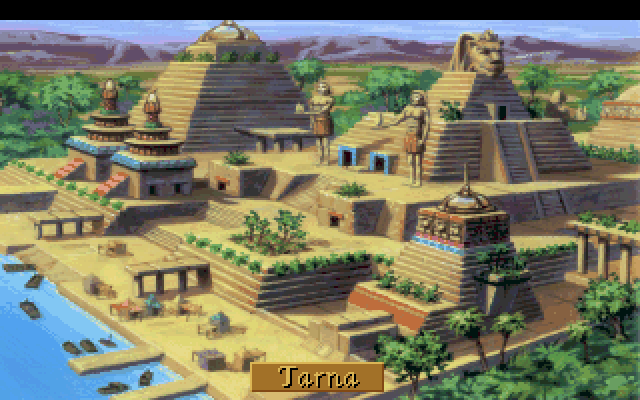 Next time, Garçon explores Tarna, buys stuff, and probably kills something! Last edited by Falselogic; 06-22-2012 at 04:14 PM. 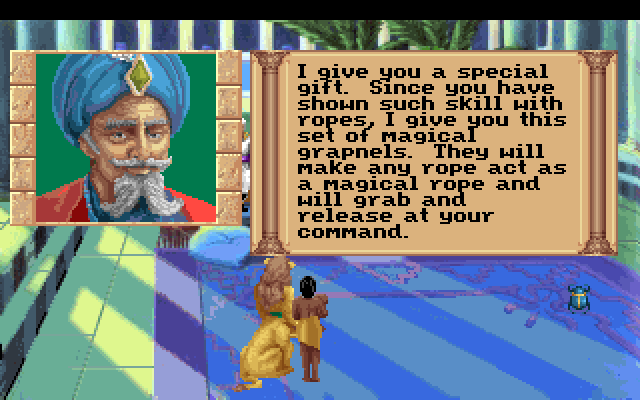 He gave you magic grapnels but not a rope? Geez, dad. 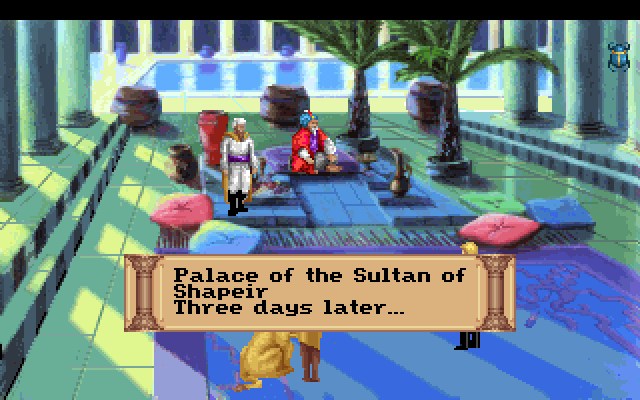 Only 200 Dinars? What happened to all that dosh you made? That is a good question. Either I used it to buy all those pills or the import caps how much moola you have in order reduce players just buying their way out of some problems in the game.